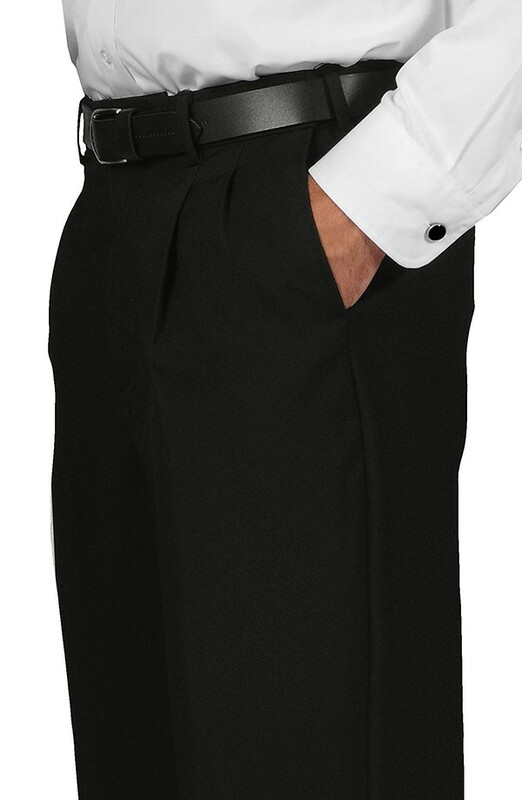 Men's black double pleated dress trousers. 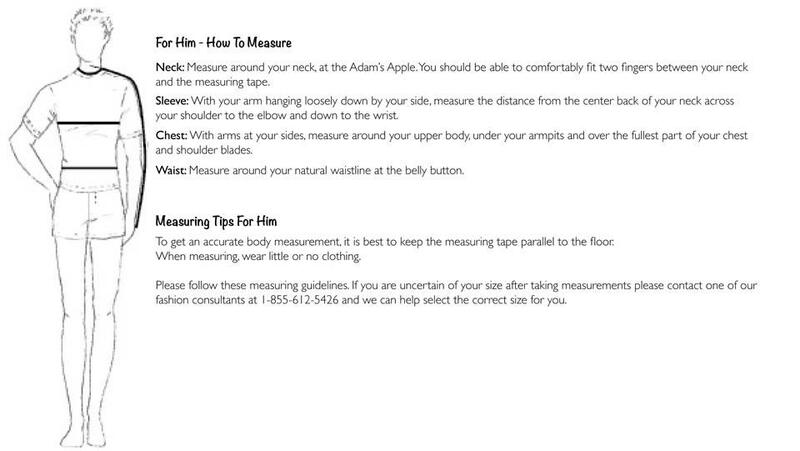 Comfort fit with elasticized waist and belt loops (belt not included). 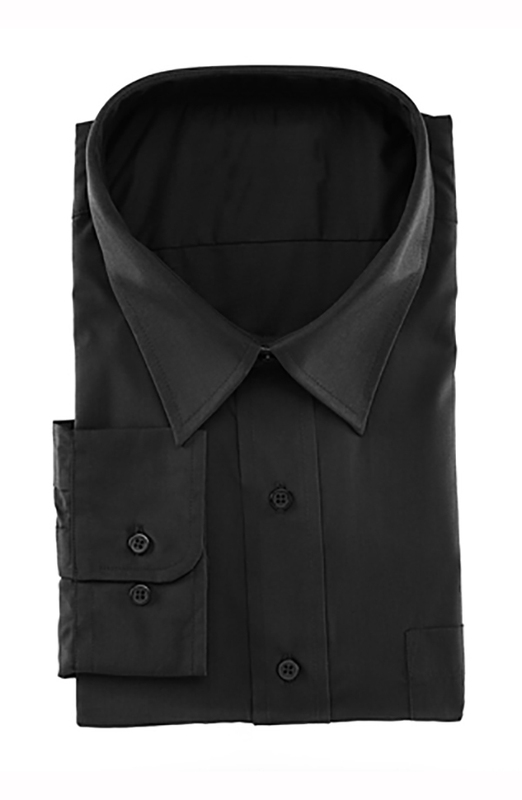 Men's black double pleated dress trousers. 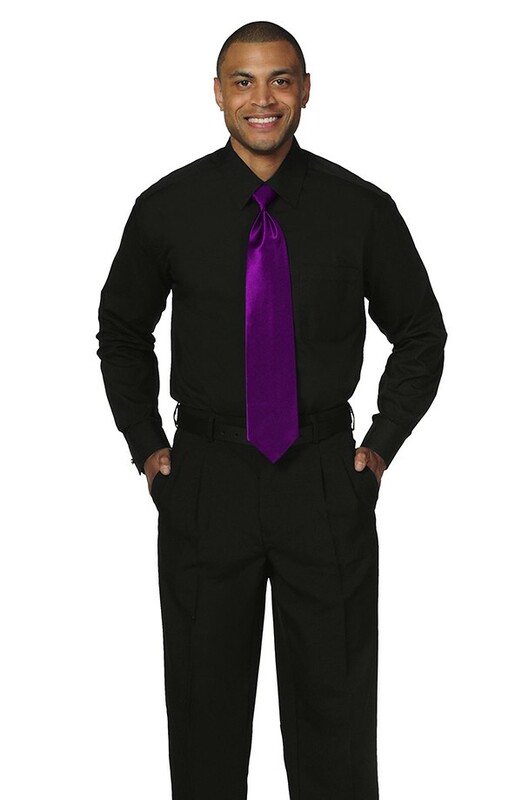 Comfort fit with elasticized waist and belt loops (belt not included). 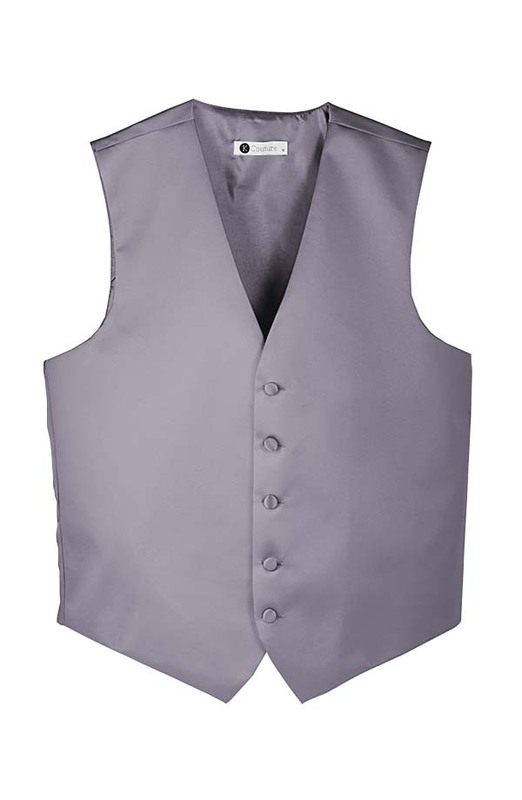 Machine washable polyester. Unhemmed.